The list — which includes 59 new emojis, as well as variants for a total of 230 options — emphasizes inclusivity. 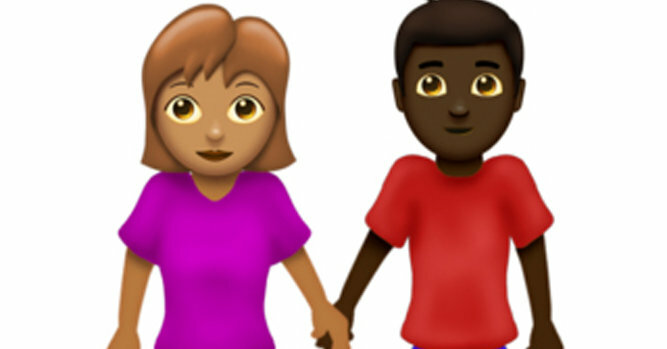 People will soon be able to create a “holding hands” emoji to reflect their own relationship, selecting for the skin color and gender identity of each individual. Other options include emojis showing a hearing aid, prosthetic limbs, sign language, a cane or a wheelchair. The Unicode Consortium sets the standards for emoji compatibility, allowing the symbols to translate across the internet. Then companies like Apple and Google have to design emojis and incorporate the code into their operating systems, Greg Welch, a board member for Unicode, said in an interview on Wednesday. New emojis typically come to cellphones in September or October, Unicode said in the announcement. A representative for Google said on Wednesday that it hoped to release the new emoji designs soon. The latest update continues a trend toward greater emoji diversity, which began in earnest a few years ago when a range of skin tones was introduced. In 2017, Apple introduced a hijab emoji. “You see people are asking for curly hair or skin tone and bald and hijab,” said Jennifer 8. Lee, who serves on Unicode’s emoji subcommittee and helped found Emojination, a grass-roots effort to make emojis more inclusive. “You are talking about marriages and starting families,” he said in an interview on Wednesday, adding that he had heard from people who could not find a wedding cake topper that reflected their relationship and chose to use black and white chess pieces instead. Guide dogs are an integral part of life for many blind people, so much so that they often sign emails from “so-and-so and their dog,” Ms. Davidson said. But some people prefer to keep their dog’s name private, so that other people don’t use the dog’s name and distract it from its work, Ms. Davidson said. Using a guide dog image, she said, would be a way to include the dog in conversations without sharing specifics. For Ms. Davidson, using emojis does not come naturally, she said, because she was born blind and does not know what some facial expressions look like. But she said she might make an exception for the chance to include an emoji of her 9-year-old yellow lab, Lawson.